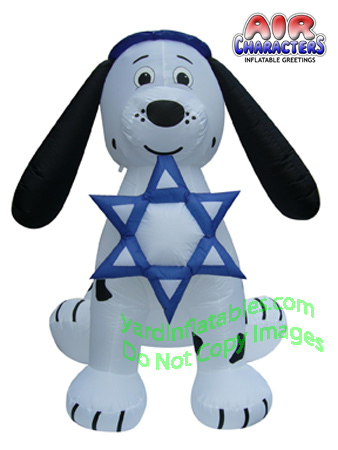 Inflatable Dalmatian Puppy Dog Wearing a Yamakkah and Holding the Star of David. Hanukkah begins in the evening of Sunday, December 22, 2019, and ends in the evening of Monday, December 30, 2019. 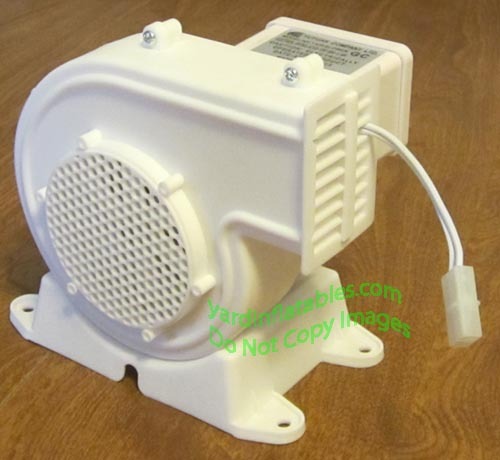 Blows up in minutes with an external HIGH QUALITY very durable, reliable Fan. Easy assembly! Made of lightweight durable nylon. Includes lights for a Glowing Nighttime Display. This Air Blown Inflatable Yard Decoration comes with lights, yard stakes, and tether/ ropes.